Why Employers Should Stop Pot Testing | Challenger, Gray & Christmas, Inc.
“This policy was originally implemented as a way to screen out drug users in an attempt to only hire the most productive workers. However, with marijuana becoming legal across the nation, and more of the workforce partaking in marijuana use on a regular basis, strict anti-marijuana policy may actually hurt companies as they attempt to attract the best talent in a tight labor market,” said Andrew Challenger, Vice President of global outplacement and executive coaching firm Challenger, Gray & Christmas, Inc.
“Companies are starting to treat marijuana like alcohol or other legal substances. While it is good policy to ban drugs and alcohol in the workplace, what workers do after hours – as long as it does not impair the company’s operations or productivity, or otherwise do harm – should not have any bearing on how workers are viewed by their employers,” said Challenger. Despite Attorney General Jeff Sessions implying that federal interference may be coming under the current administration, the marijuana industry – and its usage – is growing. According to Gallup, one in eight Americans smoke marijuana, double the percentage who reported they smoked three years ago. Meanwhile, last year, the legal marijuana industry recorded $9 billion in sales and is predicted to hit $11 billion in 2018, especially with the addition of California as a legal marijuana market. In addition to the growing use among American workers, another reason to eliminate marijuana screening relates to the nationwide opioid crisis. 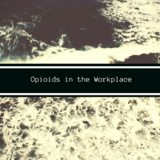 Opioid dependency caused approximately 42,000 deaths in 2016, up from 33,000 in 2015. More than 15,000 deaths involved a prescription drug in 2015, according to the Centers for Disease Control and Prevention. A 2011 Veterans Affairs study found that veterans were more than twice as likely to die from an opioid overdose, and a 2014 report found 15 percent of the 2,500 veterans in the study regularly used opioids. Meanwhile, a 2014 JAMA study found that states with legal medical marijuana laws had fewer opioid-related deaths than those with strict drug laws. A military advocacy group, Veterans for Medical Cannabis Access, is lobbying all legislative bodies to “endorse veterans' rights to use medical cannabis therapeutically and responsibly, and is working to end all prohibitions associated with such use,” according to its website. “If a recovering addict is screened out of a job due to his or her treatment for an opioid addiction, that person not only experiences a potential setback in recovery, but the company has also lost out on filling a position with an otherwise viable candidate,” said Challenger. “Especially for the veterans who are moving to the private sector, changing a company’s policy on marijuana testing could mean getting our nation’s vets back to work,” he added. Because of the widespread use of marijuana, some governments and companies are already changing their policies to better align with public opinion. One company that has started to shift policy is AutoNation, a Florida-based car retailer with dealerships across the country. While AutoNation still upholds a drug- and alcohol-free work environment, it decided not to consider marijuana use as part of the hiring process. City governments are also starting to enact widespread policy change. San Francisco, for example, is moving to eliminate marijuana-related drug convictions; lower-level convictions could potentially be expunged from records, and higher-level convictions could be downgraded. This comes just as California made recreational marijuana sales and use legal throughout the state at the beginning of this year. Even global opinion towards the drug is leaning in favor of decriminalization in some countries. Just this year, Germany’s chief of police called for decriminalizing marijuana. While public opinion in favor of marijuana in Germany is not as strong as in America, decriminalization in Germany would have widespread implications not just for the country, but for the EU as a whole. Companies opting not to test for marijuana have the potential to save money and access a wider pool of candidates. Drug testing can cost up to $42 per employee, according to OHS Inc., which conducts drug testing in all 50 states. The savings from removing these tests can be reinvested back into the company to strengthen drug training programs or other company initiatives. “Turning a blind eye to marijuana usage may not be practical for every company in every industry or role. However, employers could miss out on exceptional talent due to their use of a substance that is increasingly becoming acceptable and legal,” said Challenger.